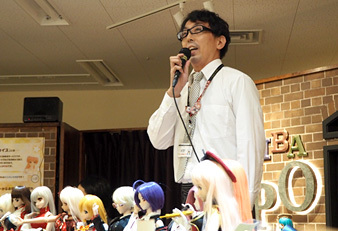 Event Programs Panels | Dolls Party in LA 4 2019 | VOLKS USA, Inc.
With this one-time opportunity, we would like our North American fans to know more about Dollfie® and VOLKS! Our guests will be arriving from VOLKS INC, our headquarters in Japan. They are professionals in different fields of Dollfie®; so, we are positive that you will have a fun time and wonderful learning experience for you. We hope you will learn more about your Dollfie® and VOLKS. VOLKS' Professional Make-up Artist will conduct a lesson about the most effective ways to use make-up tools for you! The panelist will cover the methods for both SD and DD’s make-up. Please use this opportunity to take a first step to face-up your own desired Dollfie®! * This image is from past event. "Dollfie® is so precious, but I'm afraid to take care of them by myself..."
Don't worry! 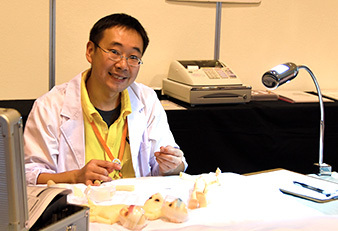 Our Dollfie® Doctor will lecture you all about the general maintenance of SD Body Parts. You will be more comfortable to treat your SD after hearing of his clear and in-depth explanation! 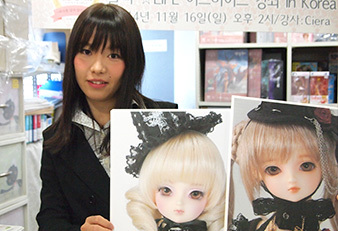 Director of Dollfie Dream® will answer all of your questions! Including the new series "DD-f3", the panelist will cover the best and safest way to handle and care for your DD.